The Suki’s Gift Card, available in any denomination, makes the ideal gift this holiday season. 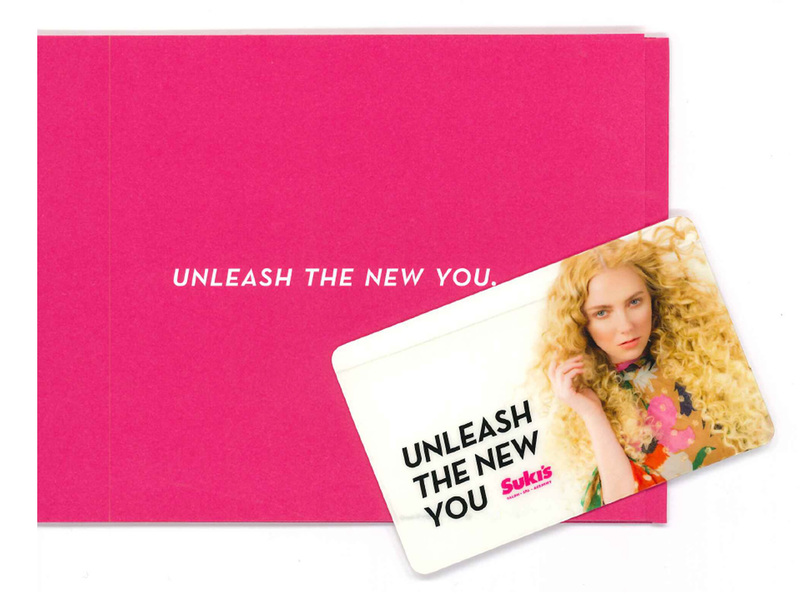 This highly desired gift card can be used for any of Suki’s award-winning hair or spa services or to purchase any of our home care products including Kérastase, Shu Uemura, Bumble and Bumble, L’Oreal Professional and Dermalogica skincare. The Suki’s Gift Card can be used at any Suki’s location.